Click below to check out photos from the 2018 Doggie Beach PAW-ty! Tinley Park’s first off-leash dog parkwas a cooperative project between the Tinley Park-Park District and Orland Township. The dog park is open from dawn to dusk 365 days per year, however, there will be times the park is closed for scheduled maintenance. The 10-acre site at Nielsen Drive and 84th Avenue is a special place for dogs and their owners to exercise, socialize, and just have some doggone fun! There are three separate fenced areas, one designated as a small dog area (26 lbs or less), one for large dogs, and one area will be closed to maintain the quality of the turf. The three areas will be rotated to allow the turf in each area to regrow in a cycle. Some features include shelters, benches, water fountains (one for dogs and one for people), agility course, waste disposal bags/receptacles, and plenty of open space to run. Tinley Park’s Off-Leash Dog Park is a Membership Facility. The annual dog park pass can be purchased at any time. 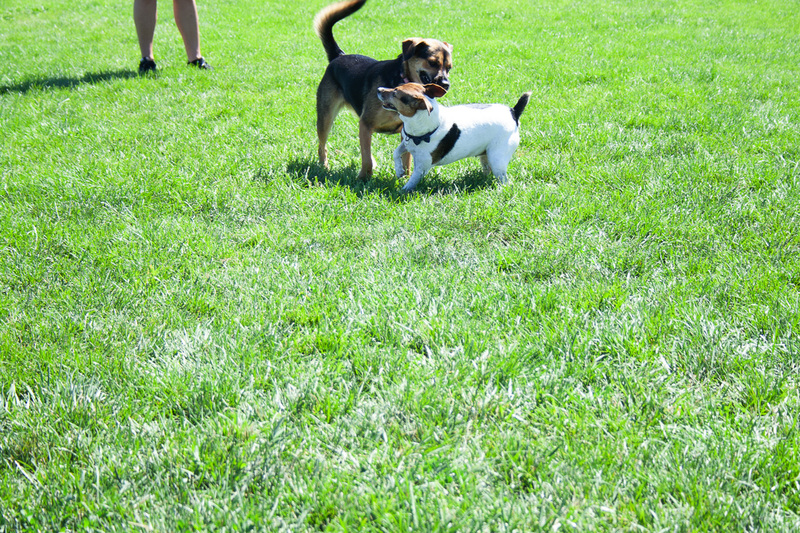 All dog park users must pay an annual fee; meet Cook County and the Village of Tinley Park vaccination, health screening, and licensing requirements; and sign a liability waiver to obtain a dog park pass. A pass must be purchased for each dog you will bring to the park. Dog park passes are non-transferrable and non-refundable. There is a link to download the registration packet on this web page, or you can stop in at the Tony Bettenhausen Recreation Center to pick one up. Proof of residency for Tinley Park-Park District residents and Orland Township residents is required to receive the resident rates.